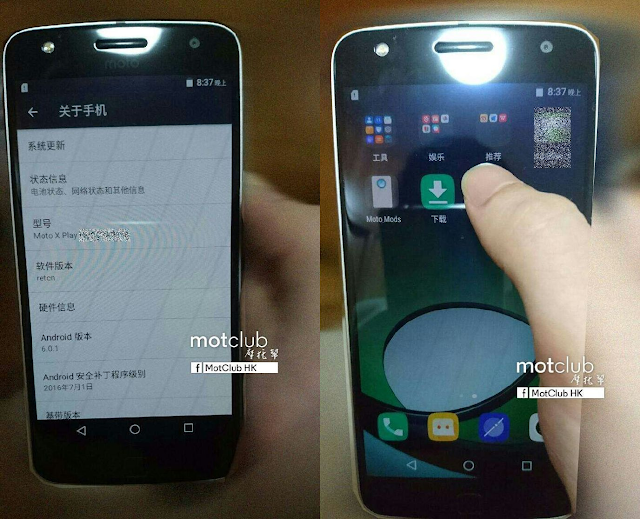 Motorola Moto Z Play leaked in full glory! The Motorola Moto Z, Moto Z Force and Moto Mods were revealed earlier at Lenovo's Tech World event and are now available at verizon. Well, This is not everything about Moto Z. Lenovo had some unannounced Motorola Smartphones and Moto Mods that will be revealed somewhat later this year. The Moto Z Play, A cheaper variant of Moto Z series is still unannounced and will be announced later this year. Today hellomotohk has leaked some Images showing Moto Z Play ( Moto Vector ). 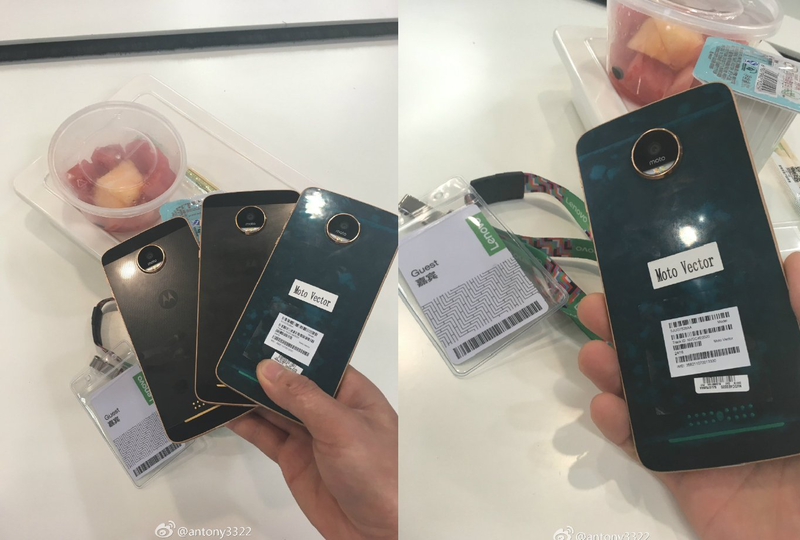 The above image shows the back of Moto Z, Moto Z force and Moto Z Play ( Moto Vector ). The above images are again showing Moto Z Play Settings menu and Vibe UI Homescreen. The model name is Moto X play 2016 for china and will be Moto Z Play for Rest of the world. The Moto Z Play has Front Flash on the left while its on Right on other Moto Z and Z Force. As leaked earlier The Z Play has a headphone jack with USB C.